Djellel Eddine Difallah received his Ph.D. from the University of Fribourg (Switzerland) and worked thereafter as a Postdoctoral Researcher at the eXascale Infolab. 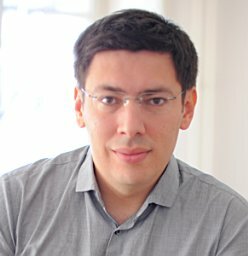 His main research interests revolve around human computation and its application to data management, data processing, machine learning, natural language processing and knowledge extraction. Specifically, he investigates novel active learning techniques, Bayesian models for truth inference and task scheduling optimization problems. Djellel worked for Schlumberger and Microsoft and is an ACM member and a Fulbright Alumni. He is currently a Moore-Sloan Fellow at the Center for Data Science at New York University. Latest news The Book on crowdsourcing applications in reserach is out! with Gianluca Demartini, Ujwal Gadiraju and Michele Catasta. Paper with Panos Ipeirotis and Elena Filatova accepted to WSDM 2018 "Demographics and Dynamics of Mechanical Turk Workers" Poster Available Here. Starting June 1st 2017 Djellel starts at NYU CDS as a Moore Sloan Data Science Fellow. My main research interests revolve around human computation and its application to data management, data processing, machine learning, natural language processing and knowledge extraction. Specifically, I investigate novel human machine learning techniques, Bayesian models for truth inference, task scheduling optimization problems and analysis of crowdsourcing marketplaces. OLTPBenchmark is a multi-threaded load generator. The framework is designed to be able to produce variable rate, variable mixture load against any JDBC-enabled relational database. The framework also provides data collection features, e.g., per-transaction-type latency and throughput logs.